Out of town guestage this weekend allowed for not one but two brunch opportunities, and it’s always hard to figure out where to go. I opted for two of my favorite patio- friendly standbys, Jam and Lula Cafe. 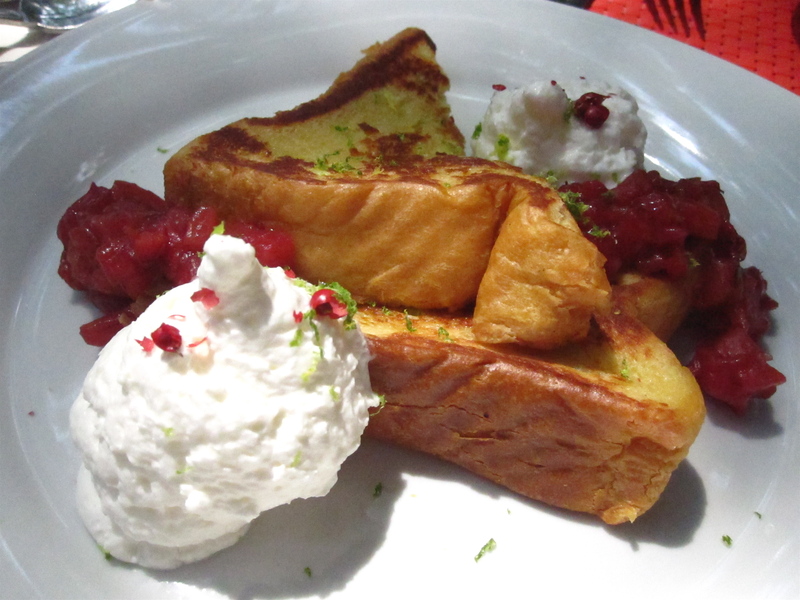 OK, so technically it was lunch at Jam, but that didn’t stop us from devouring one of the best things on the brunch menu along with our savory lunch selections—the famous malted custard French toast with macerated rhubarb and whipped lime leaf cream sprinkled with crunchy pink peppercorns. I think I could just snack on pink peppercorns alone, but they also add little dots of spicy crunch to citrusy, light-as air cream, and the vanilla and malt dipped brioche is almost impossibly moist (it’s from the sous vide preparation), fluffy and sweet. 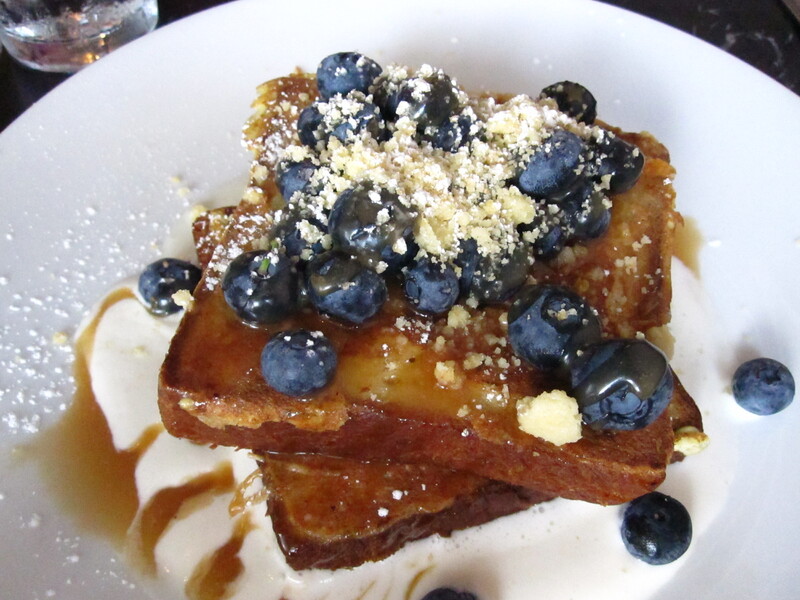 And what good are duck confit and morel omelets and salmon scrambles without a sharable order of lavender custard-stuffed brioche French toast with fresh blueberries, olive oil shortbread crumble and whipped mascarpone from Lula Cafe? A layer of creamy lavender-tinged custard is hiding inside thick French toast while perfect blueberries and the rich crumble top it all off. Get a half order for the table, and then immediately wish you made it a full. Lula Cafe, 2537 N. Kedzie, Jam, 937 N. Damen.